Featured amenities include complimentary newspapers in the lobby, a 24-hour front desk, and multilingual staff. A roundtrip airport shuttle is provided for a surcharge during limited hours, and self parking (subject to charges) is available onsite. Renovated in July 2015 and just a 5-minute drive from Megeve town centre, this Chalet is situated near the ski lifts and provides easy access to the Mont-Blanc Valley. It offers rooms with mountain views and free WiFi access. Rooms at the Chalet de l'Ancolie have a regional mountain-style decor. They each have a private bathroom and a TV. Guests can relax in the lounge. Free parking and ski storage are available at l'Ancolie. A ski bus stop is situated directly outside the hotel. Located in the heart of Megève, Hôtel Chalet Saint-Georges boasts a sauna and a lounge with fireplace. It is less than 100 metres from the Chamois Ski Lift. Free WiFi is provided. Each of the rooms has its own private bathroom, satellite TV and safety deposit box. Selected rooms have a balcony. The on-site restaurant Table du Trappeur offers traditional cuisine. Massage and beauty treatments are also available upon reservation. The area is popular for skiing and cycling. Sallanches is 20 minutes' drive away and Geneva Airport is 86 km from Hôtel Chalet Saint-Georges. Pamper yourself with a visit to the spa, which offers massages and body treatments. Skiers will be in heaven, but there are recreational options available for non-skiers as well, which include a sauna. This hotel also features complimentary wireless Internet access, concierge services, and babysitting/childcare (surcharge). Grab a bite to eat at Le Gourmandier, a restaurant which features a bar, or stay in and take advantage of the room service (during limited hours). Buffet breakfasts are available daily from 8:00 AM to 11:00 AM for a fee. With a stay at Les Chalets du Prariand - Vacances Bleues in Megeve, you'll be near ski lifts, within a 10-minute drive of Megeve Ski Resort and Megeve Museum. 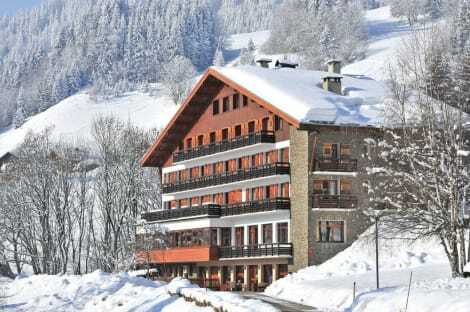 This family-friendly hotel is 22.6 mi (36.4 km) from La Clusaz Ski Resort and 28.8 mi (46.4 km) from Flaine Ski Resort. When you stay at Au Vieux Moulin Hotel And Spa in Megeve, you'll be in the mountains, within a 5-minute walk of Megeve Ski Resort and Chamois Gondola. This ski hotel is 15.3 mi (24.6 km) from Bettex-Arbois Ski Lift. Megève, in the mountains of the Savoie near Switzerland, offers impressive facilities and slopes for skiiers in beautiful surroundings. It's not just the slopes that are scenic – the old village centre is a charming setting to while away your time off the slopes and enjoy the apres-ski. The town has had a whiff of glamour about it since the Rothschilds turned it into a fashionable ski resort almost 100 years ago, and today it remains a wonderful destination for a weekend break or a longer skiing holiday. Lastminute.com has plenty of Megève hotels to choose from. Their budget, mid-range and luxury options can suit everyone, whether you want a simple place to unwind after a day on the slopes, or more luxurious surroundings to rest those weary limbs. Some even include spas if you fancy a massage or a sauna to relax your aching muscles. Wherever you stay, you can rest assured that there's never a bad view in Megève! During the 1920s, the Baroness Maurice de Rothschild spent time in Saint Moritz in Switzerland whilst convalescing following an illness. She eventually grew bored of it, and began thinking about creating a new French winter sports resort. When her ski instructor told her about Megève and its spectacular sweeping views, there was no looking back. Megève has been an upmarket ski resort ever since. Though tourism began in earnest in the 1920s, Megève's history stretches back much further. It's historic centre and cobbled streets are medieval in origin and architectural gems such as the priory which was built by monks in the 12th century remain. There are many beautiful churches and chapels and strict building regulations are in place to protect the village's charm. The village centre is traffic-free except for the horses and carriages which have been an integral part of village life for centuries. The skiing can be accessed by lifts from the village centre, cable car from the edge of the village, and by romantic horse-drawn sleigh. Like the village itself, the slopes are incredibly picturesque and are surrounded by snow-covered woodland for the most part, though it's the spectacular views of Mont Blanc from many of the runs which makes Megève so popular. There are some lovely slopes for beginner and intermediate skiiers over quiet pasture land, as well opportunities for off piste adventures for the more experienced. With powder often remaining untouched for days, you can enjoy the silent drama of the Alps. These days, Megève is becoming as well-known for gastronomic delights as for its skiing and stunning landscapes. 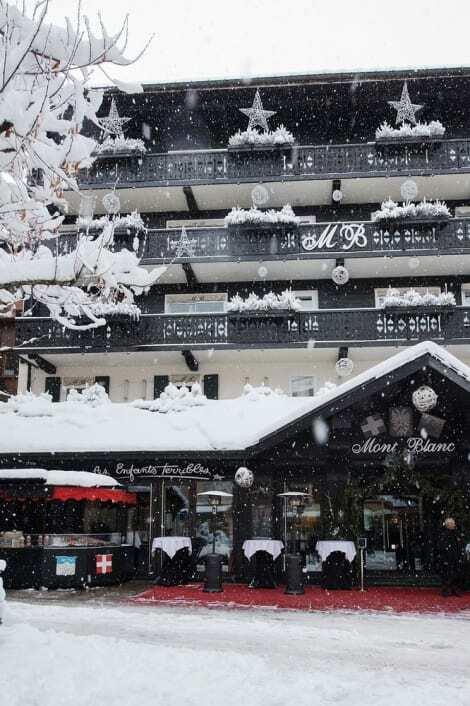 With over 100 restaurants to choose from in this village resort, you won't have a problem replenishing the calories you've worked off on the slopes. There are plenty of places offering typical Savoyarde Alpine cuisine which centres around the delicious combination of cheese and potatoes. Le Refuge is a rustic cabin in the mountains selling traditional fare, while Flocons de Sel serves more avant-garde dishes if you're after a very special Michelin-star experience. There are also many cafés and patisseries on the Place d'Eglise to watch the world go by in between a morning's skiing and an afternoon's browse around the village's upmarket boutiques.